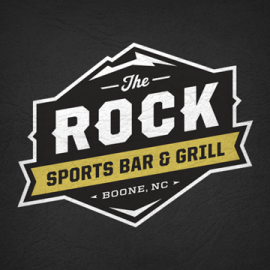 Established in 2012, The Rock Sports Bar & Grill is Boone's hotspot for great food, drinks, and wall-to-wall sports coverage. 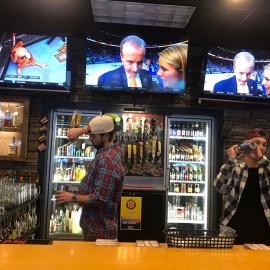 With 40 HD TVs, catch every game including the NFL ticket and complete coverage of all Appalachian State sports. The Rock Sports Bar & Grill can also cater your next event or host private venues during the week. For catering inquiries please call: (828) 386-1723.